Free off-peak travel for elderly people under the SuperGold card is set to exceed its annual $18 million budget and the Government is looking at ways of reining it in, which may impact on services. A Transport Ministry/NZ Transport Agency discussion document released today suggests changes, including reducing the rate that providers are reimbursed; capping reimbursement payments; changing what services are eligible and removing or reducing payments for administration costs. "After the first 12 months of operation it has become clear that in its present form, the scheme is not financially sustainable with the funding available," the document said. Mr Hughes said the document signalled cuts to travel subsidies for the elderly. "In March 2009, (Prime Minister) John Key described it as 'a successful programme...and we will be funding the increase'. Mr Joyce also said at the time that the Government had allocated $72 million for the scheme over four years...and 'at this stage we are not concerned it will exceed that'. About eight million trips were made under the scheme in the first 12 months and growth in card holders was strong with an additional 20,000 new eligible users a year expected to use it. 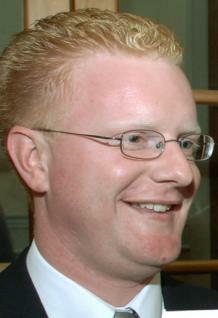 The scheme was introduced by the former Labour government as part of the New Zealand First Party's support agreement. Transport Minister Steven Joyce said the scheme, which started in October 2008, would be retained but changes would have to be made. About 540,000 elderly people (aged 65 and up) have the cards which entitle them to travel during off peak periods such as 9am-3pm on weekdays. Officials would look at how "off peak" should be defined and consider eligibility of certain high cost services -- including the Waiheke ferry and the train service between Wellington and the Wairarapa. "The transport concession of the SuperGold card has an annual budget of $18 million across the country -- $2 million of that is currently spent on the Waiheke ferry alone," Mr Joyce said. Operators were compensated for the loss of revenue from SuperGold Card holders who previously paid but now did not. Reducing the reimbursement rate by one percentage point to 74 percent a year would save $250,000 annually and a 4 point reduction would save $1 million. Introducing different reimbursement rates for different regions or services was another possibility.